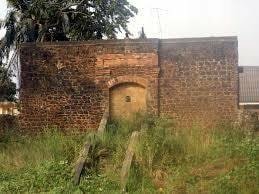 Located 45km from Abidjan, Fort Dabou was built by General FAIDHERBE in 1853. A wide stone staircase, shaded by huge mango trees, leads to the fort gate. The enclosing wall is six meters high and grows on four sides of a square about forty meters long. \ nThe place of arms has been transformed into a garden, and at the far end, on the part of the enclosure that faces the front door, stands a beautiful stone construction. The ground floor, built in casemates, is divided into six beautiful rooms all habitable. The first floor, occupied by the administrator, has been refurbished following a fire and contains no less than six rooms very high floor and airy. A large veranda, forming a balcony, surrounds the entire first floor of this building ... The village of Dabou is small and modest, but it recalls a great name, that of General FAIDHERBE. It is also said that the immortal BINGER, this great friend of Ivory Coast, loved the charming site of Dabou. "(René LE HERISSE" Voyage to Dahomey and Ivory Coast ", 1903.) nBINGER created a botanical garden in Dabou in September 1893, which he entrusted to the gardener chef LELACHE, who will be murdered a month later.This garden was intended to experiment and acclimatize certain tropical plants BINGER, on his arrival at the Côte d'Ivoire in 1893, found the fort "abandoned and in the most complete decay." He had it repaired by a carpenter and two masons who worked under the supervision of Charles MONTEIL, clerk for native affairs, Dabou became one of the posts Coastal Administration, serving as a customs office.